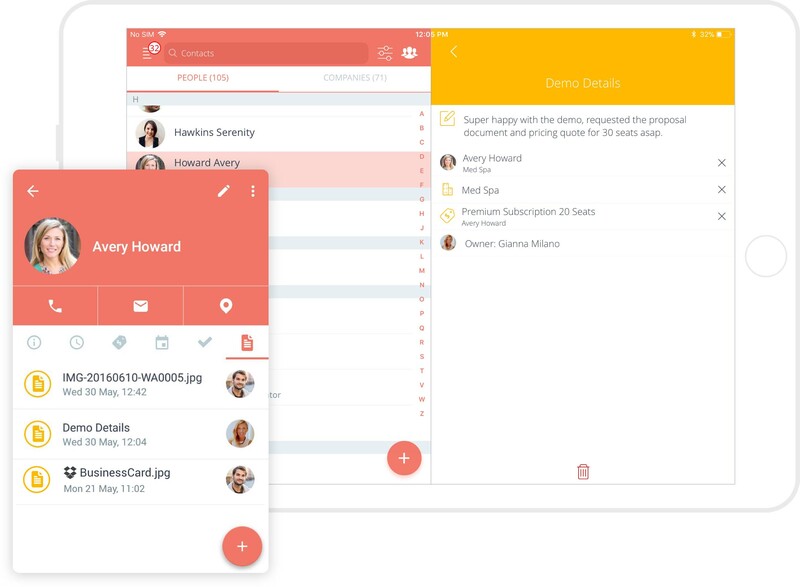 Simplifies your teamwork with a central place to take notes, organize and share files. Write down any information about your customer using Sellf’s notes. 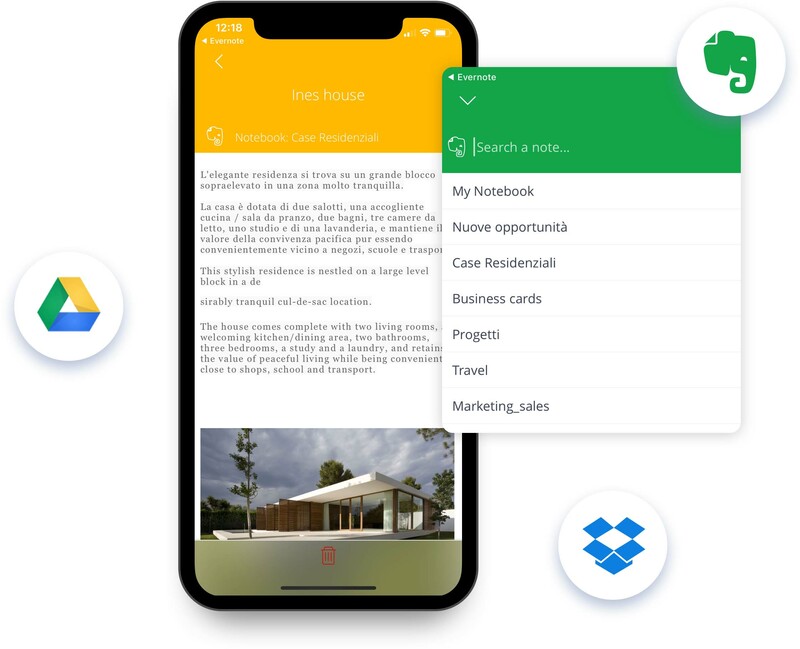 Access, create, and edit your documents wherever you go — from your phone, tablet, or computer — even when there’s no connection. To improve your self-organization you can leverage the integration with Evernote, Dropbox and Google Drive. You can attach notes already created in Evernote or automatically save in Evernote each note created with Sellf. You can also associate all kind of file types (PDFs, images, slides presentations) to a record through our integration with Google Drive and Dropbox. Get the storage and backup your growing organization needs, with easy collaboration for the entire company. Files in your Sellf folders stay updated and safe on every device linked to your account. You can take photos and upload them to Sellf directly from your smartphone. Photos can be linked to deals, people or companies. 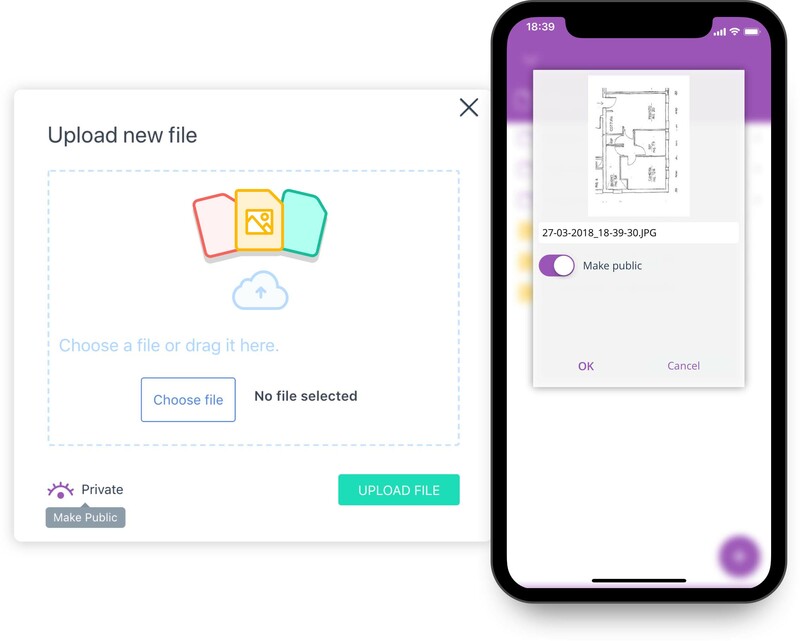 For example you could take photos of your customer’s identity cards and upload them to Sellf, in order to have data at hand, without having to scroll the long list of your smartphone gallery. Share and collaborate seamlessly: sync and organize files in folders in few clicks. When you upload a new file in Sellf, you can keep it private or share it with your team. Obviously, documents attached from your Google Drive, Evernote and Dropbox accounts will be only visible only to you. Start your 14-day free trial or request a personalized demo today. No credit card required. Easily manage your prospects and customers from a central hub. Keep track of all your events in one calendar shared with your sales team. Manage and assigns tasks to your collaborators. Increase your team productivity.